A visit to one of Australia’s most historic wine regions will reward both wine lovers and fun lovers alike, says Tyson Stelzer. Read his Hunter Valley travel guide here. The key style to uncover is dry Semillon and no region, anywhere in the world, has championed it like the Hunter. Harvested very early, this crisp, dry, unoaked style is grassy, lemony and fresh in its youth, with an acid backbone as dramatic and constant as the blue silhouette of the Broken back Range, which looms as the backdrop to every Hunter Valley scene. Mature Semillons spanning a decade and longer are a highlight of cellar door tastings, showcasing an extraordinary and amazing transformation to honeyed, nutty, buttery richness. In a region as warm as this, the elegance, savoury character and fine structure of Hunter Shiraz is a refreshing surprise, and the perfect foil to typically rich Aussie reds. Mature vintages opened for cellar door tastings characterise development from edgy, angular adolescence to the velvety, leathery, gamey complexity of maturity. The Hunter offers something for everyone, from history buffs to fashionistas. This is one of Australia’s most historic wine regions and a number of wineries established in the 1850s are still going strong today. Among them are Tyrrell’s, Drayton’s and Wyndham’s –Australia’s oldest estate, founded in 1828.Meanwhile, a growing band of dynamic and progressive young winemakers is reviving traditional vineyards and techniques while adding their own modern spin. The Hunter has set the pace for modern Australian wine culture, thanks to such industry luminaries as Len Evans, ‘the godfather of Australian wine’ and James Halliday, Evans’ protégé, who also established Brokenwood. 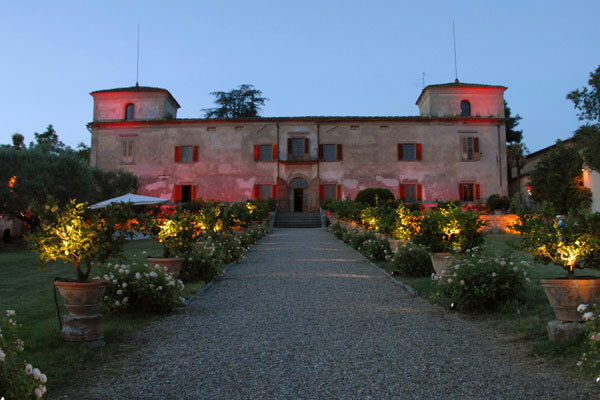 There is an active culture of mentorship, and an extravagant generosity in sharing knowledge among winemakers. The region has become the nation’s training ground for wines how judges, and a hotbed of exclusive private tastings of old and iconic wines – the inspiration of young and old winemakers alike. Thanks to a constant stream of Sydney weekenders and holidaymakers, the Hunter is geared up for wine tourism like nowhere else in Australia. Every brand, small and large, relies heavily on visitors, and the standard of visitor facilities provided is testimony to this importance. Broke Road is the backbone of the Hunter, with cellar doors lining both sides, and it can become a traffic jam on weekends and public holidays. On busy days, it’s smart to begin a little out of the way, such as McWilliam’s Mount Pleasant Estate. As the day gets busier, make your way between wineries on Broke Road on foot. You’ll appreciate the exercise, because the Hunter Valley serves up a gastronomic feast to match its wines. Contemporary Australian cuisine is the theme across its finest restaurants, always with a focus on local seasonal produce. Muse Restaurant at Hungerford Hill is one of the most sophisticated gastronomic destinations in the region, and the dynamic chef Troy Rhoades-Brown and his wife Megan may just be the youngest pair ever to be awarded the accolade of best regional restaurant in the state. The Cellar Restaurant at Hunter Valley Gardens serves generous cuisine from local produce around an open fire in winter or alfresco under wisteria vines in summer. The Hunter Valley offers so much for the visitor that many tourists don’t even get around to wine tasting. Don’t make the same mistake – they have no idea just what they’re missing. By plane from London to Sydney: either direct (about 22 hours) or stopover in Asia or the UAE. 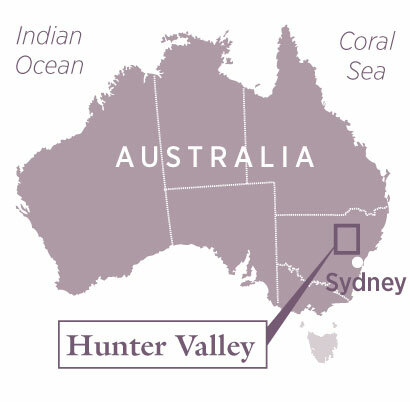 The Hunter Valley is about a two-hour drive from Sydney.